I bought some rose syrup from Travelers, the local Indian market. Whenever I make or purchase a new syrup, I try it in an old fashioned. I thought that lemon would complement the rose more than orange, since lemon oil is an extremely bright flavor, and rose is a a little bit darker. Moreover, rose and rye did not work together all that well, so I opted for dark rum, instead. The rose syrup had even more red dye in it than Campari, and it managed to completely overpower the color of Flor de Cana Centenario 18, which is a very dark rum, indeed. The clerk at the store told me rose would not work in an old-fashioned. That’s what happens when you think one-dimensionally and assume that rye or bourbon has to be the base. Rum was made for roses. It tastes like romance, and as long as you have a light hand with that rose syrup, it won’t be cloying. Shake over ice and double strain. Garnish with a lime peel. Ok, so using a syrup isn’t quite in the spirit of a Pegu, which is supposed to contain liqueur, but the dirty secret is that you can often sub a syrup for a liqueur as long as the liqueur is reasonably sweet and the drink has other substantial alcohol components. This recipe came from Jacob Grier, but I didn’t have any Combier Pamplemousse Rose. I suspect the liqueur is not quite as sweet as this syrup, as I ended up adding an additional 1/4 oz of lime to balance the sweetness. To be honest, I feel like making a gin sour is the easiest way in the world to incorporate one other flavor into a drink. If you have a liqueur or a syrup and you aren’t sure how to express it, gin and lemon or lime is almost guaranteed to make a nice base for it. I have to admit, this was a very tasty drink, like a citrusy Turkish delight, even if it was the easy way out. And speaking of Turkish delight, the flavor of pistachio might be a beautiful addition. The lime oil was a delicious contrast to the sweetness of the rose, and the gin added a fine botanical complexity on the swallow. If I were serving this at a party, I would express lime oil over the surface of the drink and then garnish it with a few white rose petals instead. Stir over cracked ice and garnish with a lemon knot. A great template to know is 6:3:1 with a base spirit, a fortified wine, and a modifier. I used this same template last week with gin and apricot-flavored brandy. So I’m not sure if this is any less of a cop-out than the Rose Pegu, but as with the old fashioned, the caramel qualities of the rum blended almost romantically with the rose syrup. I also tried mixing rose syrup with several amari, but I found that the flavor of rose occupies a very similar place on the spectrum as an amaro such as Ramazotti, and even though the rose came through, it was blurry. 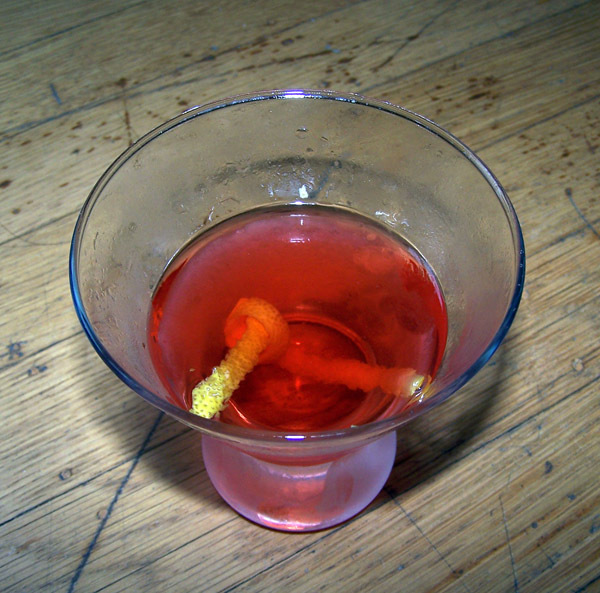 The syrup went a little bit better with Campari, though I did not use it in the above variation. There is a pleasing consonance between the two brilliant reds. 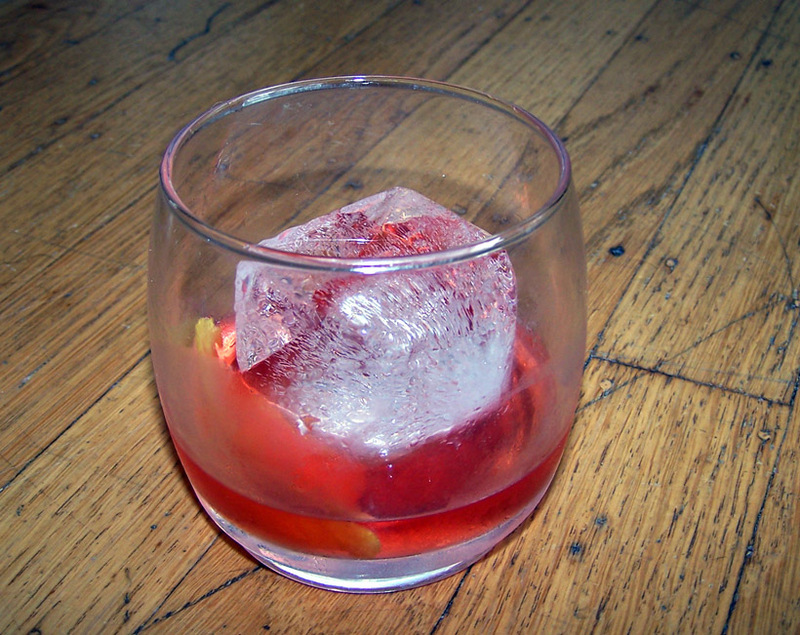 A rose Negroni may be in my future. 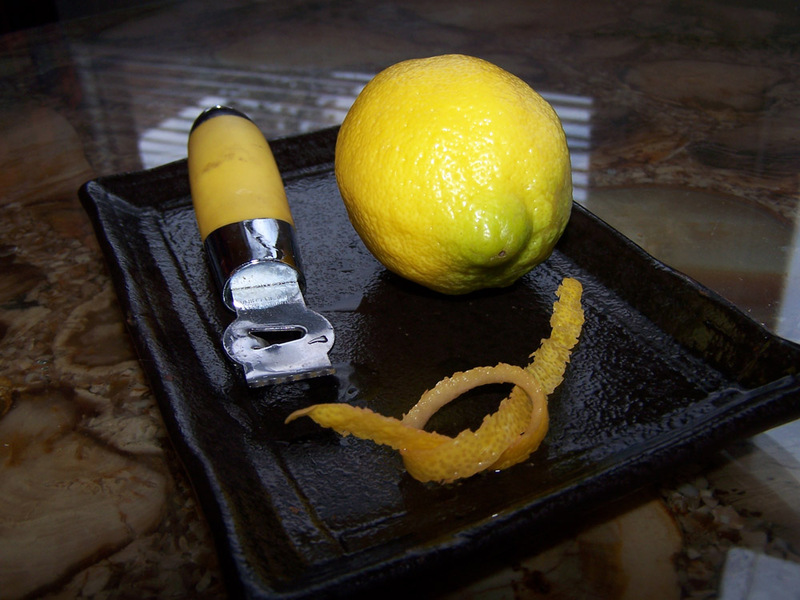 If you have a channel knife, you can easily cut a long, graceful strip of lemon peel. Tying it into a very loose knot is an excellent alternative to a twist, once in a while. Categories: modern drinks, original creations | Tags: angostura bitters, bitters, cocktail, cocktails, drinks, dry vermouth, flor de cana, lemon knot, lemon oil, lemon peel, matusalem, orange bitters, pegu, regan's orange bitters, rose, rose syrup, rum, syrup | Permalink. Great post. Looks great. Might have to get our hands on some rose syrup. 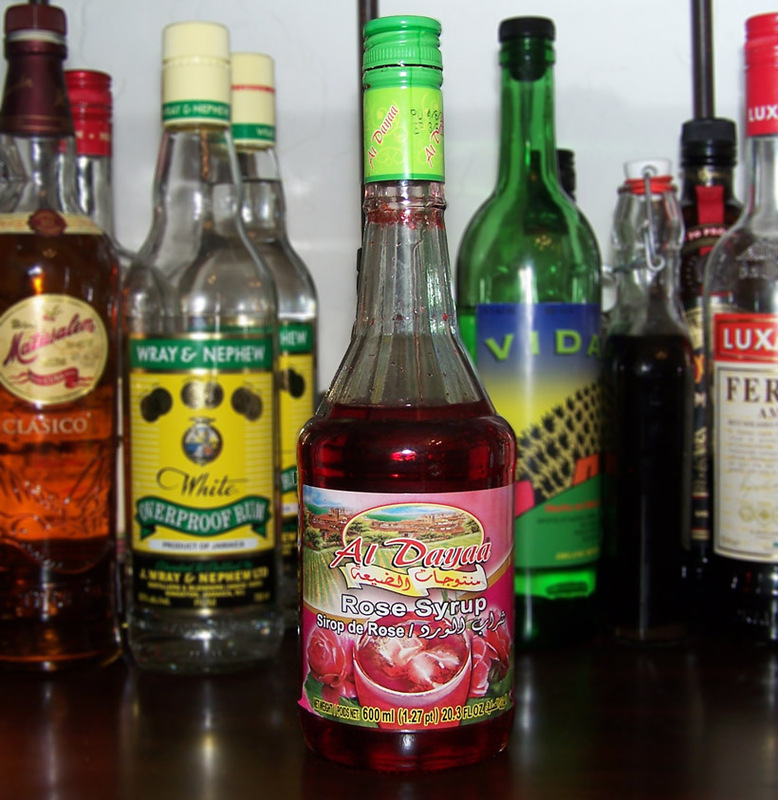 We have been adding cherry juice to our Pegu Clubs. The juice sinks to the bottom for a nice color contrast. 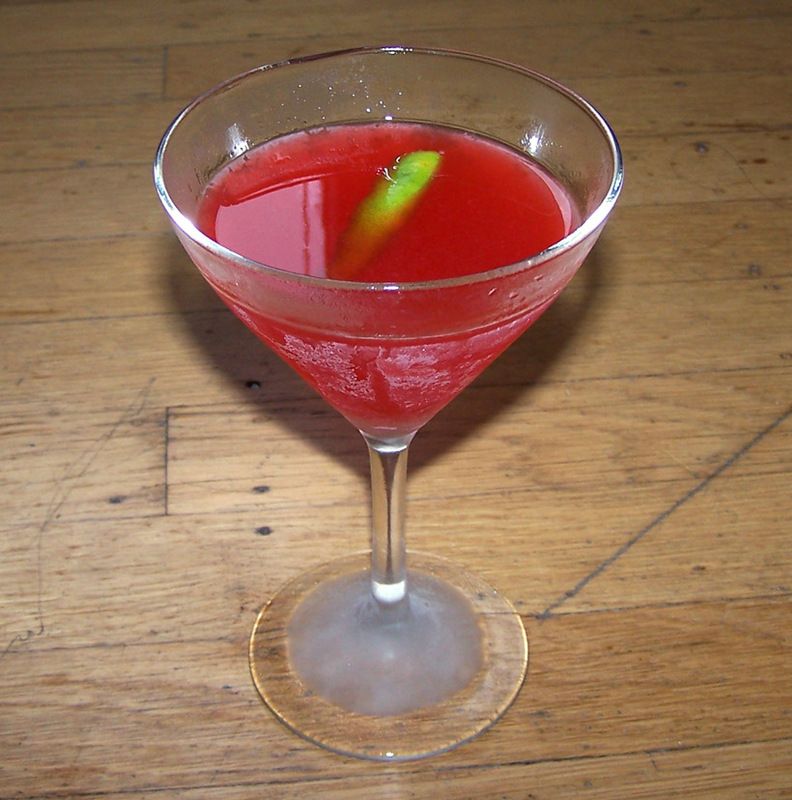 Cherry juice in a pegu sounds delicious. I might make one tonight. “Rum was made for roses. It tastes like romance.” Awesome! I missed this post before; it’s a great one!